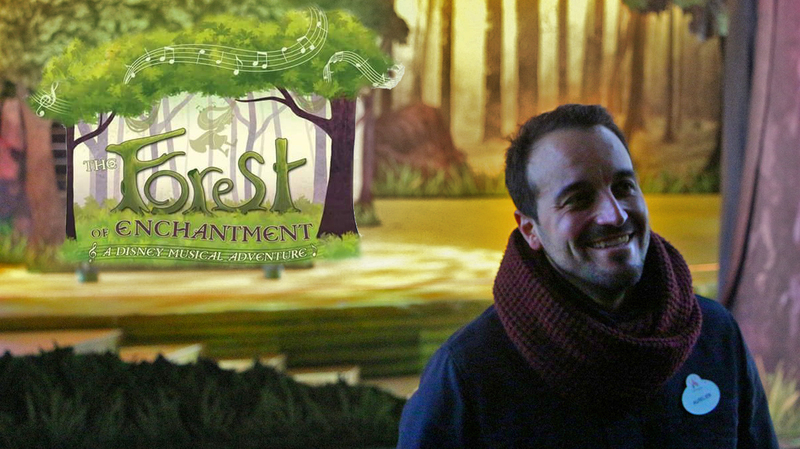 Bonjour à tous, aujourd’hui c’est le lancement du tout nouveau spectacle « La Forêt de l’Enchantement : une Aventure Musicale Disney » qui ravira les visiteurs au Chaparral Théâtre. Ce spectacle d’un nouveau genre, marque une fois encore la volonté de Disney de développer les spectacles, bien que l’actualité soit aux investissements dans les rénovations. On peut remarquer le retour des spectacles live avec 8 chanteurs sur scène par représentations. 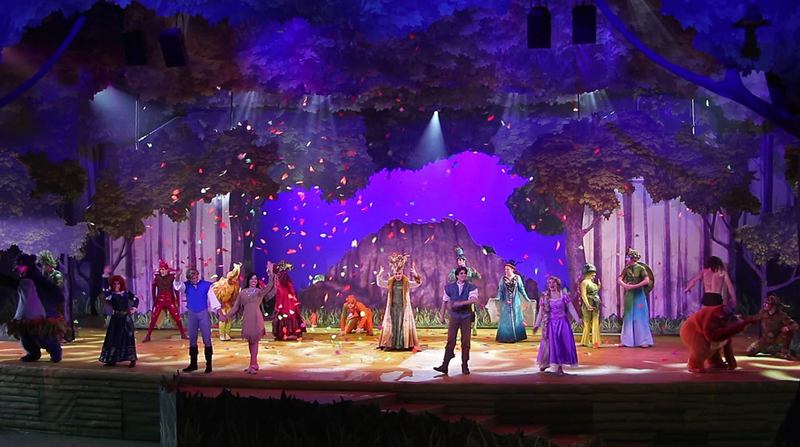 Hello everyone, today is the launch of all new show « The forest of enchantment: a Disney Musical Adventure » which will delight visitors to the Chaparral theater. This show of a new kind, brand once again the will of Disney to develop shows with the return of live performances with 8 singers on stage. Trêve de papotage : regardez ce merveilleux show ! Truce talk: Let’s go for this wonderfull show! – Le spectacle en entièrement en anglais (50% of visitors are french in Disneyland Pairs) pour ne pas dénaturer le The show is entirely in English (50% of visitors are French) for not to distort the message in the songs of the Disney characters and so all visitors can understand the show. – To stick to the idea of the show on « the discovery of the nature », the selected characters should have a link with this element. – All costumes are made on-site and imagined by Disneyland Paris, you have a Fox, grass, fire, a dragonfly, a lizard, roots… Everything that characterizes the nature in the forest. – The soft Opening helped to readjust and improve the distribution of the actors on stage. – It took 3 weeks of rehearsals in studios and one week on stage for 37 actors and singers. – The show is deliberately very artistic so that each visitors can circulate this idea of history and the places where it evolves. – Eurelien Berda can’t said if in 2017 with the 25th anniversary of Disneyland Paris the spring season and therefore this new show will be repeated. And it’s maybe possible to see the show over the halloween period 2016 if the success is there. Un grand merci à Disney et membres de la communication et du Département spectacles avec Aurélien Berda pour ce fabuleux moment ! Many thanks to Disney and members of the communication and the Entertaiment Department with Aurélien Berda for this fabulous moment!